Welcome Dead Heads! We are only 3 episodes into this show, but the writers and actors have done so well at building this world and characters that it feels like we have known them forever. 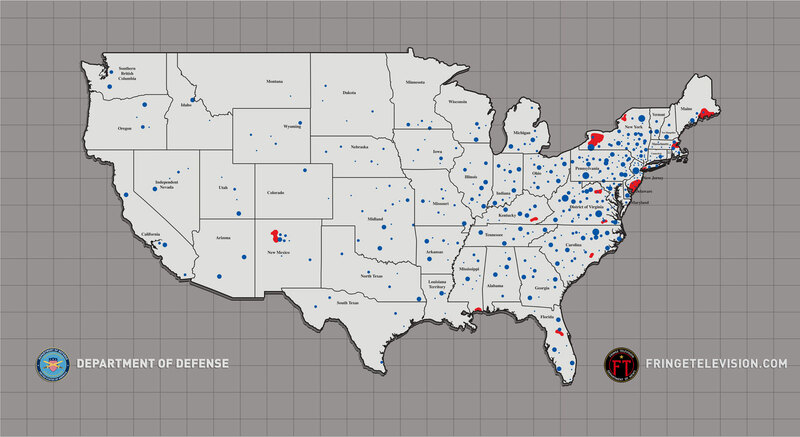 We feel for them and the situation(s) that are placed before them. 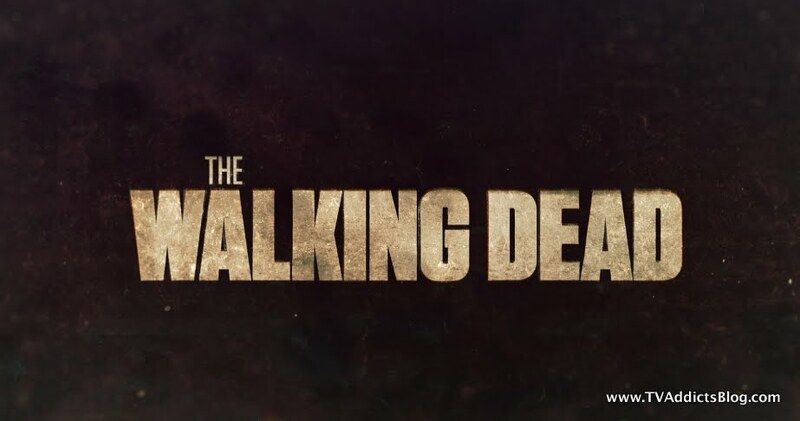 This is just an awesome show and has come to us in a time where television needed it the most. An era of AWESOME television ended last season leaving only a couple solid existing shows in its wake. We have had a relatively weak crop of new shows in the fall (The Event is still promising but ratings are dwindling). Enter THE WALKING DEAD a month later. If the buzz keeps up for this show, we may have found our new APPOINTMENT TELEVISION! On a CABLE network, no less! Great stuff. Now, I still refuse to call my write ups on this show "RECAPS" because I don't want to commit to the length and screenshots and the whole 9 yards that I do for THE EVENT and FRINGE. Just very time consuming. Of course, today is your lucky day because I was able to snag a few screen shots! Anyway, I think we'll still stick with "QUICK THOUGHTS" for the Walking Dead this season. So here goes nothing! So this episode was a bit toned down from the adrenaline rushes of episodes 1 and 2. But it showed that even a slow paced episode is just as meaty and awesome on this show. There were 2 basic themes to the episode: 1.) Reunion - seeing our cast of characters all in one place for the first time. 2.) Morality - Can they really leave a man stranded on a roof, handcuffed to die from dehydration or eventual zombification? Crazy stuff. 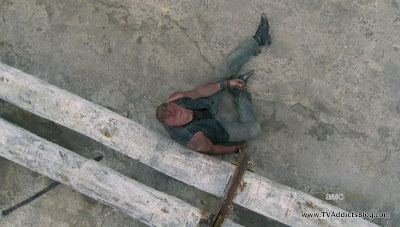 We spent some time with Merle Dixon in the beginning of the episode. He was going a little delirous and ranting off some crazy talk. Of course maybe there was some deeper meaning to what he was saying. But what I took from the scene was that the Zombies were trying to break through the door. T-Dog explains that he chained up the door so there was no way the Zombies were getting in. 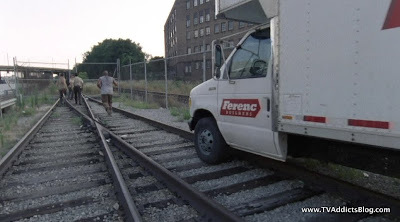 But to Merle, he was freaking out and we were able to see that he might have a way to get to that saw. We'll get back there though. Back at the ranch the scavengers return home. Glenn is all excited about his sweet ride but can't get that alarm shut off. Shane cuts the battery. Amy and Andrea have a sweet reunion. We find out Morales has a whole family there. 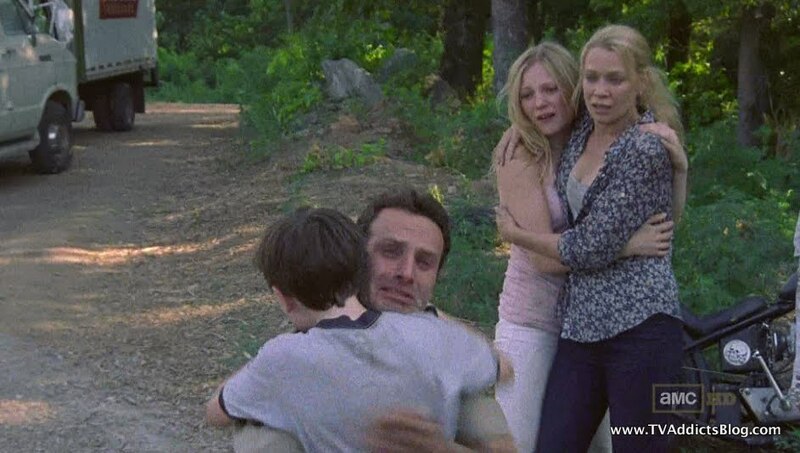 But obviously what everyone was waiting to see was the dramatic reunion of Rick, Lori and Carl. And it was just as emotional as we'd expect it to be. Carl running into a crying father's arms. Lori's expression of shock, happiness and regret all in one look. Shane's dumfounded reaction...all classic. We walk on eggshells the entire episode. 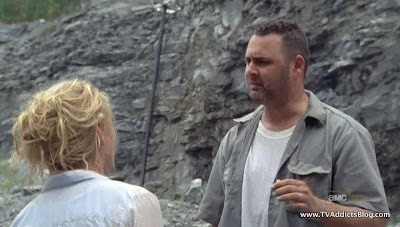 Rick talks about how he knew they were alive, Lori keeps saying "I'm sorry." And in the end, it turns out my obvious prediction was correct! (not gonna pat myself on the back or anything, it was pretty clear they'd go that way) Shane told Lori that Rick was dead. There it is. 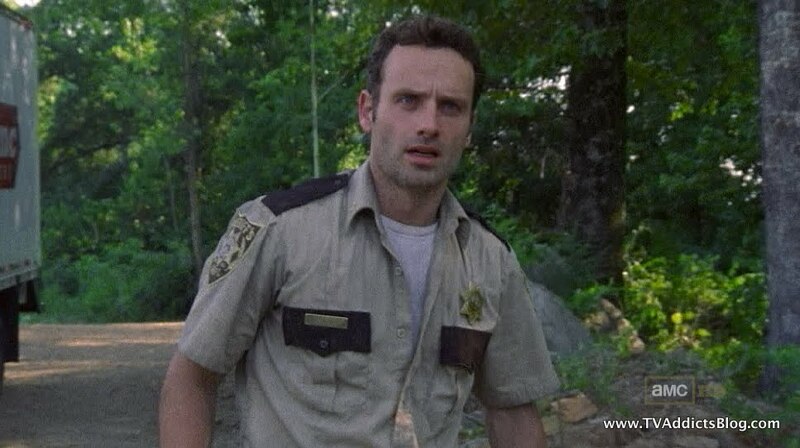 He didn't know with 100% certainty but he convinced Lori that he was gone. So with that, Lori moved on. (I mean, she can't get off on this technicality alone though. Even if he was dead, it wasn't very long that he would have been dead!) Apparently, the coma patients were going to be evacuated to Atlanta but due to the Zombie outbreak there, it never happened. So Shane probably feared the worst. Yes, maybe he had an ulterior motive. But I'm guessing he's not a TOTAL d-bag. He does refer to Rick as his best friend. Anyway, Lori wants nothing to do with Shane now. And she wants Shane to stop having Frog Leg outings with Carl! Tensions boiled up pretty good back at the ranch. While the girls were busy complaining about washing clothes while the men were all chilling they joked around a bit about some of the luxuries they miss in life. Computers, Washing Machines, Texting and something that we are better off not writing about on a family blog! While it was funny when Andrea mentioned it, it was hysterical when Ed's Wife (don't know her name) mentioned "me too" totally out of left field. Good times. Anyway, Ed was not too thrilled about the ladies having a good time. He came down to make sure these ladies did more work less fun! What is this the 1800s??? Anyway, Ed apparently abuses his wife and Andrea had just about enough of it. After some yelling, Ed took a swing at his wife. Shane just came off having his new life torn away from him so he was not in the best of moods. Seeing Ed swing at a woman was just the outlet he needed for his frustration. And he kept at it. One first after another to Ed's Face, some kicks to the gut, ouch. Of course, the wife cries and tends to her husband. But Shane was pretty darn close to killing Ed there. It was some intense stuff! We had some nice character moments with Rick and Lori. Rick mentions how he knew they were alive because the photos were gone. 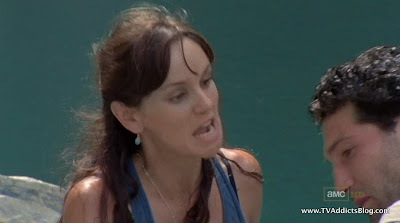 But, seriously Lori, you just "bumped uglies" with Shane and now you went right back to Rick! Ew girl! 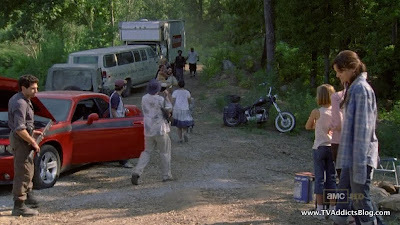 I read/heard somewhere that people are speculating that Lori will probably be pregnant after her "adventure" with Shane. But now, if she is, I'm sure they would introduce some drama in to "WHO IS THE DADDY?" Actually, the more I think about this, she is DEFINITELY going to be pregnant. 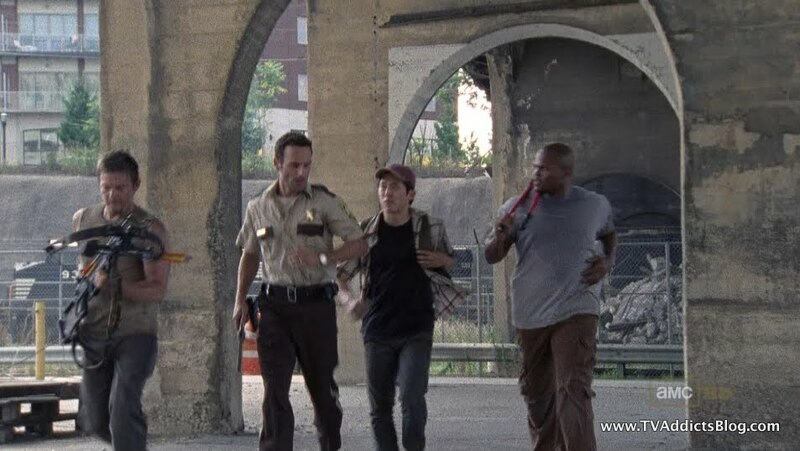 There was one incident with a WALKER this episode. 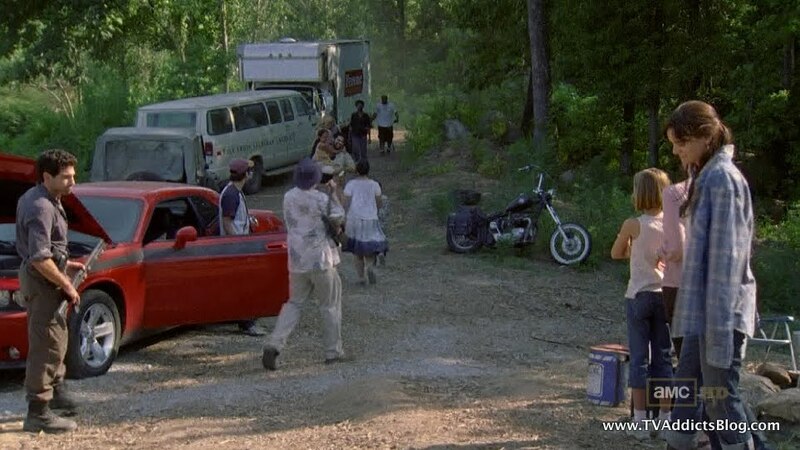 We're not sure if he was drawn to the camp because of the car alarm (probably not) or if they are just running out of food so they're heading out into the wilderness. Poor bambi didn't see it coming and became dinner for this walker. We watched our human posse circle the the undead fella, beat him and eventually decapitate him. 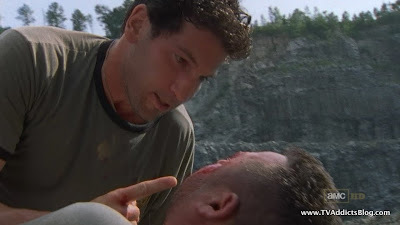 But it wasn't until the introduction of Merle's brother, Daryl that we learned the most important Zombie lesson of all....you gotta always go for the brain! That was pretty disturbing when the head was still functioning. 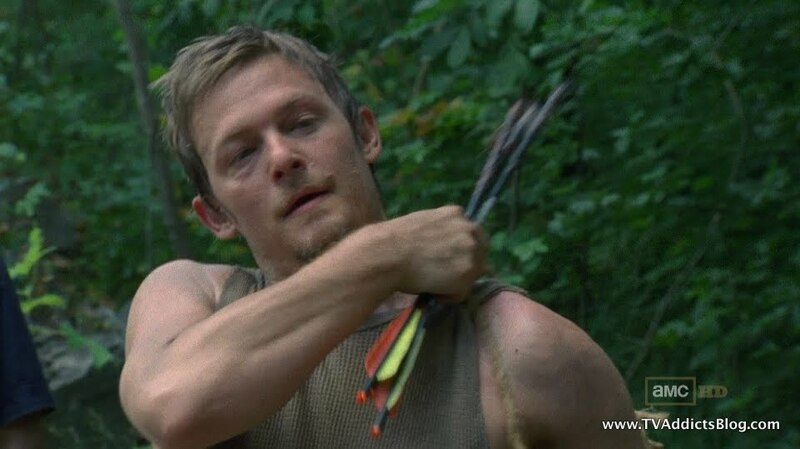 And it was very nasty when Daryl was talking about "cutting around" the zombie bitten part of the deer so they could have a nice meal. Oh well, they had lots of squirrels to feat on. We should mention that there was a scene where Shane gave Rick 4 bullets. Doesn't seem too pivotal as Rick does not want to use them and draw a crowd. But something tells me they're going to come into play. Rick and crew got back to their building with little detection (only from one walker in the store). They handily took care of her and moved to the roof. What did they find there? Well not much. Merle was gone but he left 2 pieces of evidence that he was once there. 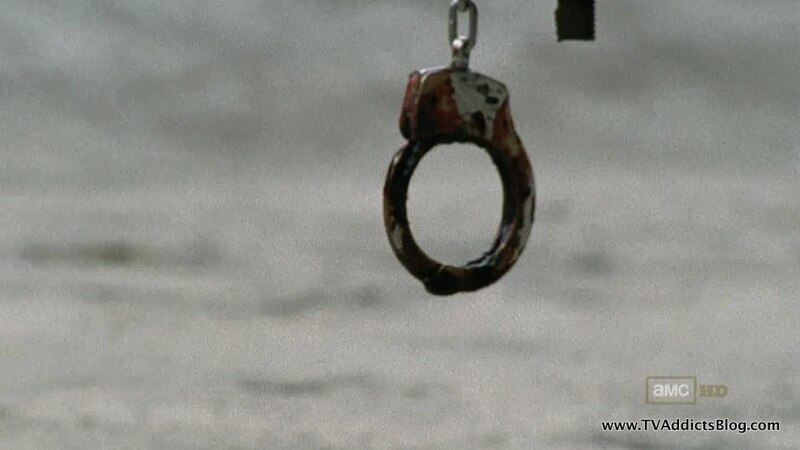 A dismembered hand and bloody handcuffs still closed and attached to the pipe. OUCH. So, I guess Sarah Wayne Callies is always going to be cast in shows where there is a one handed character in the cast? (T-Bag in Prison Break) OUCH! He sawed off his on hand, really? Desperate Times I guess. But how does one even do that? It was such a clean cut too! So, I don't think there is a question that we will see Merle again. The bigger question will be if he's a WALKER or not. There was a slew of walkers right outside that door. That was his only way out of there right? How on earth could he have escaped? Unless, someone else found him. In any case, I'm hearing episode 4 is one we don't want to miss so I'm psyched for next week already! Loving this show! Oh I disagree. The '4 bullets and 4 people going' was very clear. They are for suicide should they get stuck. Loving this show as well. To me the major overtone is What are you willing to do to survive ? Very intense. I hope they don't do the pregnancy thing! I'd be disappointed as that's been done so many times - this show is more original than that. 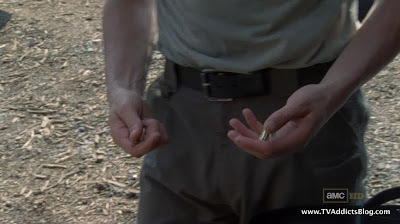 MJ - Can't believe I forgot to mention that I thought about that too...4 bullets, 4 people. Ugh so mad at myself! But I guess my point was that they didn't just drop that scene in there without planning for a payoff in a future episode! Agreed on the overall theme (overtone)....definitely good stuff. Yeah, you may be right about the pregnancy thing...maybe it's too cliche' lol I would agree that I'd rather them not do that...but at least there would be some fun drama coming out of it if it did happen...and it could be the catalyst to Rick finding out about Shane/Lori! Thanks for the Lost 411. Appreciate it. Candidate, don't worry, I was questioning the same thing about Lori and Shane but then I kinda figured by the Amy/Andrea drama last week when Shane said Andrea was dead that he did a similar thing to Lori. That would be cool to see Merle escaping...especially if another band of rebels found him. But I like leaving the hand dismemberment up to the imagination. I don't need to see it! Unless someone chopped it off for him then that might be something we need to know. Hey...I don't think i'm gonna sit here and rank Fringe vs. 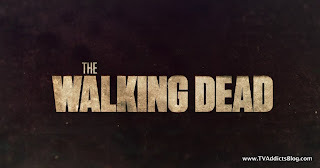 TWD...I'm just happy that there are 2 high quality television programs to look forward to each week. I might lean towards Fringe because it's been on longer and I LOVE the direction they have gone with it. But on the other hand, TWD has done a great job at building out their characters in 3 episodes to make me care just as much.